Simple vegan cornbread muffins with pieces of chive and whole corn kernels. Guys, I’m obsessed with Kittee’s New Orleans Style Beans. They’re seriously my favorite way to eat pinto beans right now, and I have been making these vegan cornbread muffins to go with it. They’re quick to make, simple, and make a nice, easy meal with your favorite beans or chili to go with. I’ve always preferred cornbread with stuff in it, but if you like yours straight up, you can definitely leave the chives and corn pieces out of this recipe. 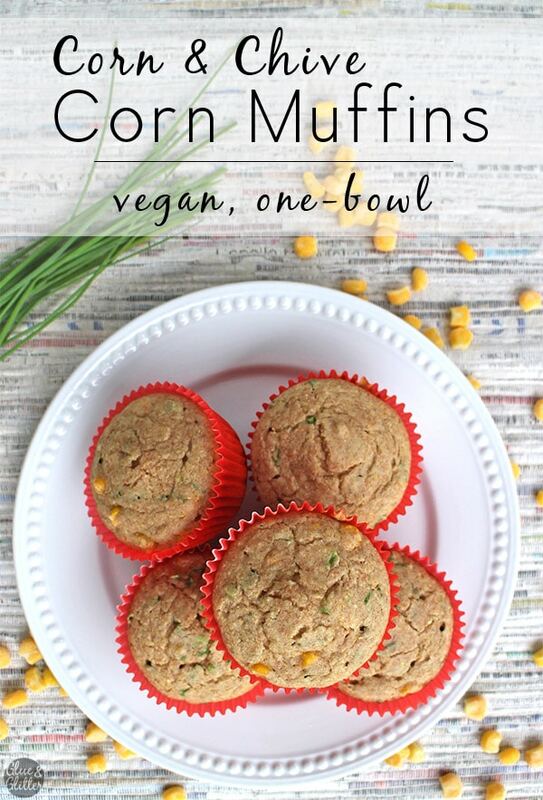 I’ve made these vegan cornbread muffins with and without the stuff, and they’re good both ways. The other thing that I love about this recipe is that Darrol loves to make it with me! He’s finally starting to enjoy cooking with me, and these vegan cornbread muffins are a good one for a helpful toddler. He helps me scoop and pour ingredients and we hold the mixer together. And, of course, his favorite part is licking the beaters and the bowl. 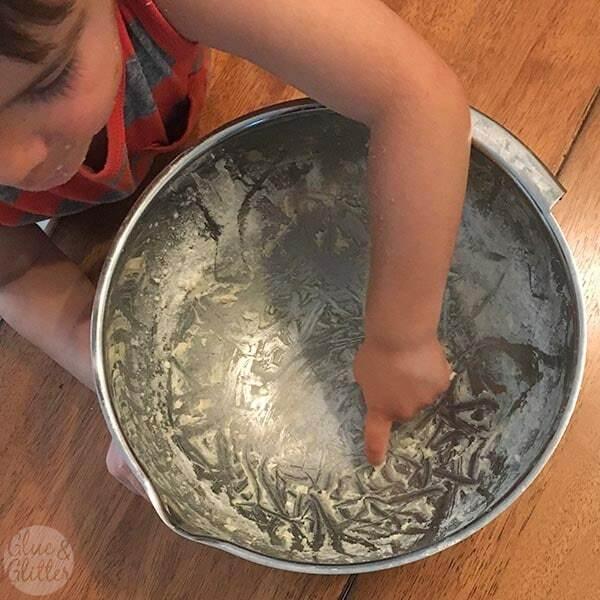 The first time we made these, I knew they’d be a family favorite when he ate all of the batter from the beaters, then asked if he could have the bowl, too. 5 tablespoons vegan margarine - Measure, then melt. I did this in the microwave. 1 cup vegan milk of your choice - I use soy. 1 cup corn kernels - Fresh, frozen, or canned (drained) is fine. Heat the oven to 425F and line 12 muffin tins. In a large bowl, mix the melted margarine, sugar, aquafaba, and vegan milk, until the sugar dissolves. Add the flour, cornmeal, baking powder, salt, and baking soda and mix again, until well combined. Fold in the onion and corn kernels. Bake for 16-19 minutes, until a toothpick inserted comes out clean. Let them cool for about 10 minutes before serving. 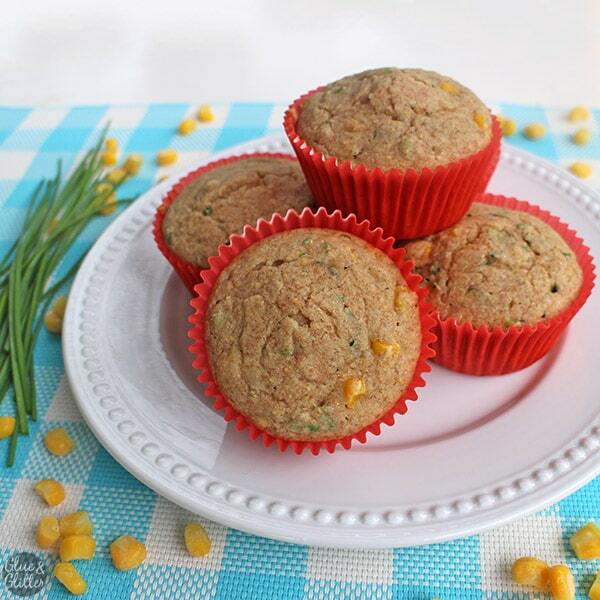 vegan cornbread muffin looks delicious, your little kitchen helper is really cute, thanks for sharing with Hearth and soul blog hop. 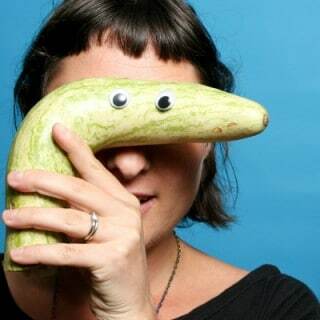 pinning and tweeting.